Durian is not my thing. | Normal Is Over. Durian is not my thing. Ramkamhaeng University had more than 500,000 students enrolled in 1988. I was told it had the largest student body of any other academic institution in the world. A city was built around it. Other add-on educational support centers sprung up around the campus like little snorkels of air feeding into the beast. I lived outside the front gate on street number 43/1. I loved Thailand and Thai people. I could live without their Durian though. My room mate was Win, a 24 year old Hmong law student from Mae Sa Maay, Just North of Chiang Mai. His tribe was well known among war veterans for their collaboration with the CIA against the Viet Kong in the seventies. Win could sword fight, taught me the Thai word for passion fruit, and had a very endearing smile. We had another room mate that year, Phil, who kept us entertained with shower yodeling and bird calls. Phil skipped around the outer campus with me for three years living in apartments and dorm rooms in order to get closer to the student body. We were best buds. We were starting a church. One evil habit Phil had was Turian feasting. He would invite all his friends over and sit down to a fresh pile of durian. While they ate what the Thai’s call the “king of fruits,” I would gag. They deliberately drank coke so their burps would fill the air with what could have been classified as chemical weaponry. 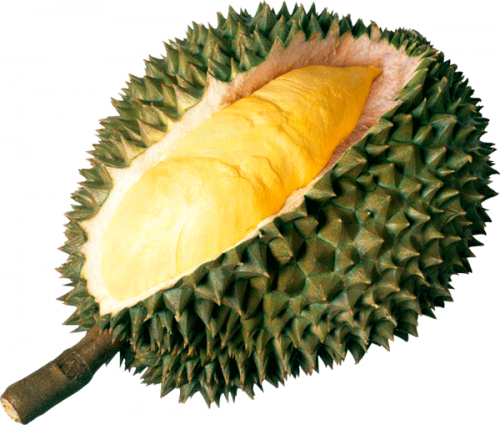 Durian looks like a large mace. You know those Viking weapons? They have a handle with a big heavy ball on the end. The ball, either attached to the handle or suspended from chain sport lethal spikes meant to maim and kill. The Vikings would swing them at their enemies or innocent villagers, kill them, then steal their stuff. Durian grows on trees and looks like this Viking weapon. It is dark brown and you need a heavy machete to penetrate the hard spike shaped peel. Inside the spiked enclosure are hives of round or oblong fruit. Each nodule was yellow with a white hue. The smell when you open one up is a mixture of decomposing garlic and dirty socks. In the core of this ball of airy fruit is a hard brown seed. 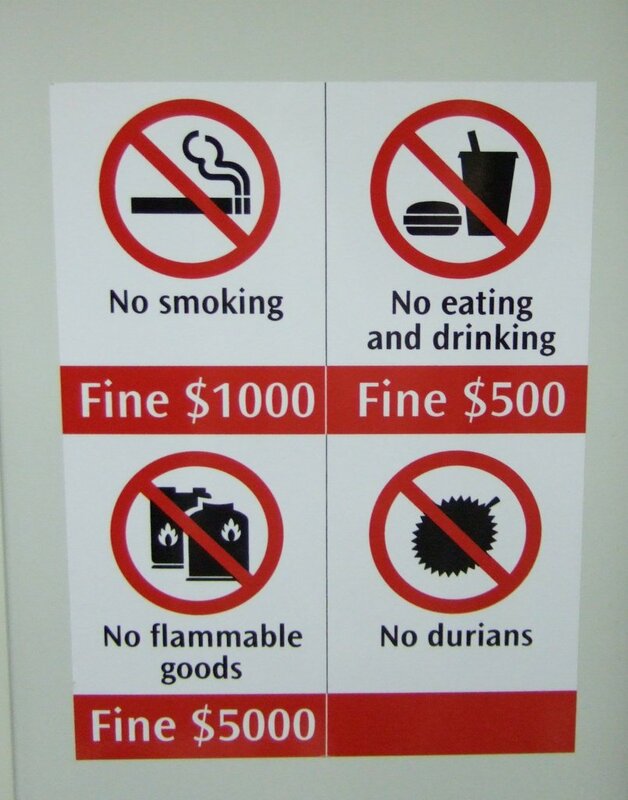 Most hotels and tourist sites in Thailand have a sign in front of the premise’s that reads: No Durian Allowed. I didn’t just get tired of Durian at the end of my three-year stay in Bangkok; I got bored with my work. At first it was a huge thrill to learn the language and culture, learn their spirituality, figure out how to lead worship and preach and start a church. But once things were working, in fact right about the time they really started to flow, I got bored. A counselor told me that I have what’s commonly referred to as an 18 month itch. What that means, he explained, was that I would be engaged with a job and happy with it until the challenge is gone, then I would get bored and look for or invent a new one. “You are a typical consultant” he told me. Back in 1989 I didn’t have that level of awareness. I was just bored and wanted change. I felt antsy. So I gave notice to my team, conspired to tour around Europe with Oddny and her friends from Japan, and packed my bags. We were off to Kazakstan on Polish airlines. Good bye Turian. I shall not miss thee or thy smell. The things you can't do here. The saying, “Tastes like heaven, smells like hell” should just be “Tastes like hell, smells like hell”… I can’t stand the stuff!! You did not mention that among the Thais Durian is called The King of the Fruits. And that sometimes one accidentally may buy Durian caramels. Yum..
Steve, it smells more like vomit to me…never did get the urge to try it while we were in Indonesia. Oh, they even have durian ice cream there! Love your posts…keep ’em coming!